Keyboard characters appear crisp and clear in any lighting environment. Brightness level adjusts automatically or at the touch of a key. Exclusive tracking technology delivers new freedom to work on virtually any surface with precise cursor control—even on glass (4 mm minimum thickness). 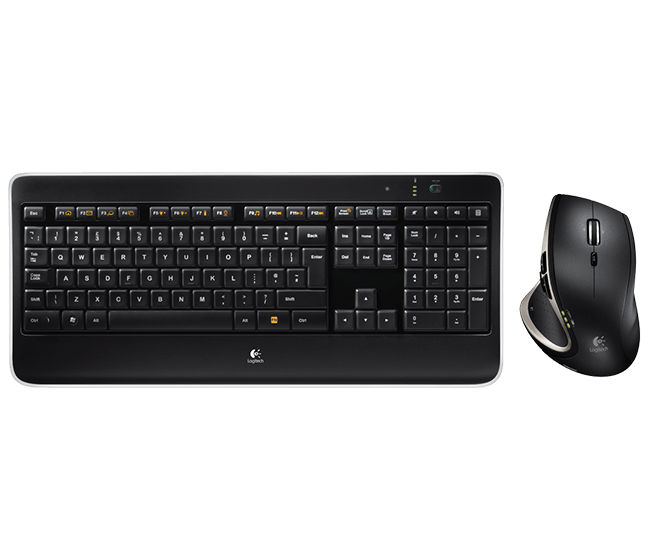 Tiny plug-and-play receiver practically disappears in the PC’s USB port to wirelessly connect both the keyboard and mouse, plus it supports up to four additional compatible devices. No batteries to change. The included universal micro-USB cable makes recharging easy—even while the keyboard and mouse are in use. Typing feels comfortable, fluid and whisper-quiet with the concave key surfaces that complement the natural profile of a fingertip. Makes every keystroke comfortable, fluid and whisper-quiet—perfect for even the longest workdays. 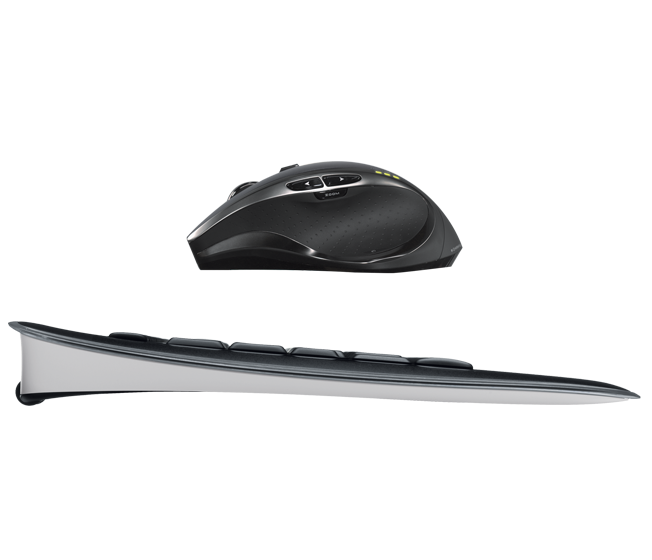 Encrypted, secure cordless technology delivers a fast, reliable connection between the PC, keyboard and mouse, even in the busiest enterprise environments. 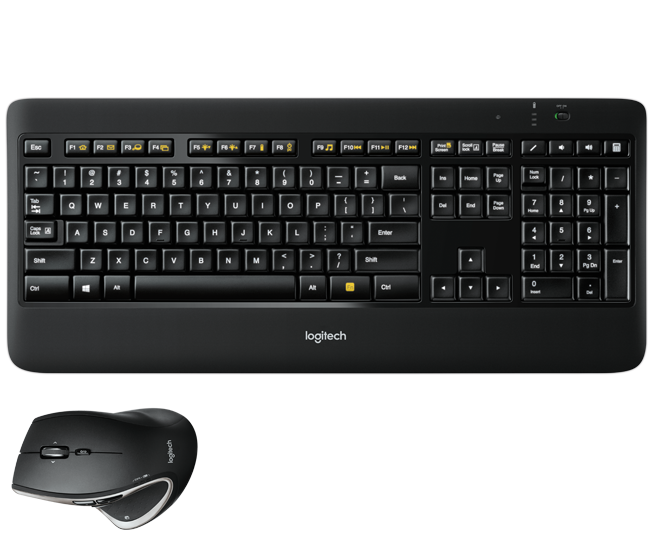 Sleek, ultra-thin keyboard profile delivers comfort and functionality with stylish office sophistication. Cushioned palm rest supports an ergonomically friendly hand position for hours of comfortable typing. 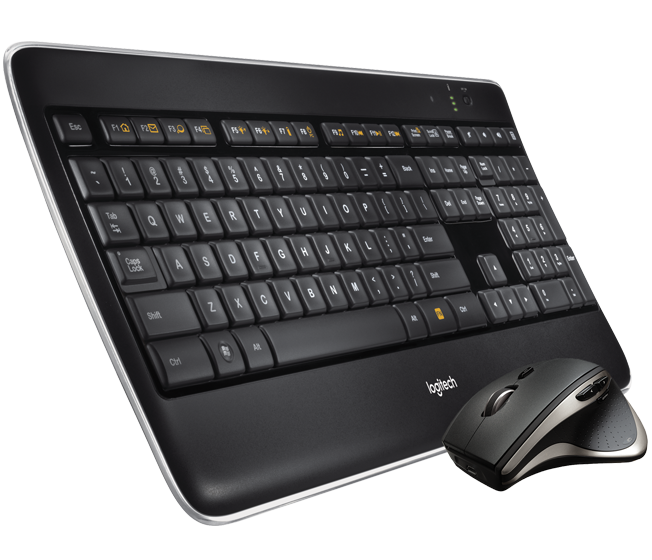 The keyboard can be adjusted to accommodate personal position preferences for the perfect feel. Fly through long documents and Web pages with just a flick of the nearly frictionless scroll wheel. Customizable thumb buttons increase productivity by automating user-specified tasks. 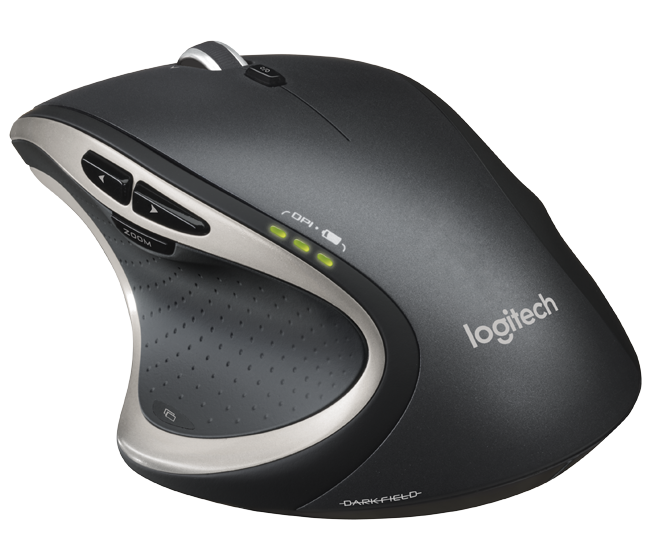 Contoured to fit in the right hand, the mouse is designed to deliver hours of comfortable use throughout the workday. Enterprise ready and plug-and-play compatible with leading Microsoft® operating systems.